These three servers are pretty similar. They all share the same 2U rack form factor and come with either 8 core 3.32 GHz or 10 core 2.92 GHz chips and allow for up to 1TB of memory. 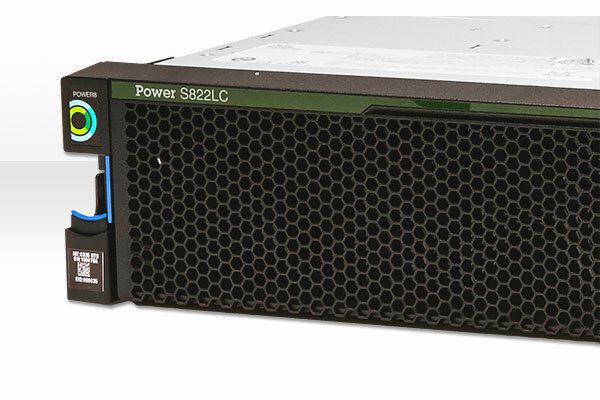 IBM Power8 LC server models are excellent when high processing speeds, high IO bandwidth, and high memory bandwidth are required. They are designed for cloud and cluster deployment where the IBM Power8 really shines. The LC models come in at a considerably lower price point than the L models. The LC line can lower the cost of managing Hadoop and Spark workloads with a system optimized for efficiency and designed for big data and yet still offer excellent throughput and performance for high-value Linux workloads such as LAMP, big data analytics and cloud apps in your data center. The primary difference between the IBM Power8 8335-GTA vs 8335-GCA servers is the inclusion of PowerKVM on the 8335-GCA. PowerKVM is server virtualization (open source) that is based on IBM POWER8 processor tech. It includes the Linux open source technology of KVM (Kernel-based Virtual Machine) virtualization, and it complements the performance, scalability, and security qualities of Linux. The inclusion of KVM offers an opportunity to simplify your virtualization infrastructure with a single hypervisor across multiple platforms. For our comparisons on other Power8 Systems, see these blog articles.